Sitting at our sons’ lacrosse game, my friend, Christina, told me about a marinade that she had recently used on swordfish. When the evening’s plans went awry and she had to save the already-marinating swordfish for the next night, she realized that an overnight marinade worked quite well with this recipe. She was kind enough to share the recipe and I tried the overnight soak, too. It was fantastic! If you haven’t thought that far ahead, however, a few hours will impart great flavor, too. I also thought this marinade would be exceptional for tuna topped with wasabi sauce. 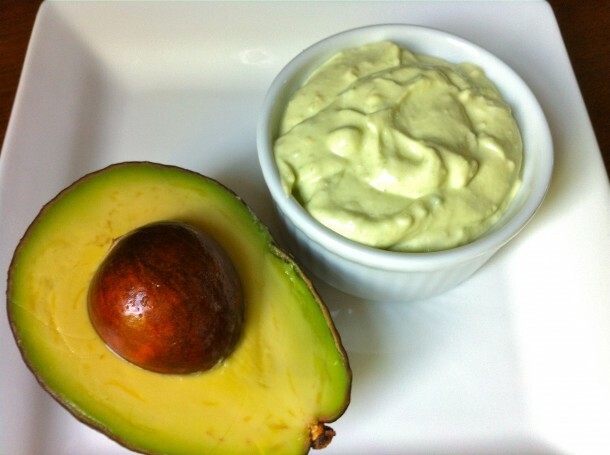 A ripe avocado initially inspired this sauce which has become a favorite in our house. Don’t limit it to just tuna; spoon over salmon, mash into a baked potato, or dollop over steak! Note: I served this with my Green (Brown) Rice, Click HERE for recipe. Mix all ingredients together, except the tuna, in a zipper top bag. Add the tuna, seal the bag, and marinate in the refrigerator for several hours or up to all day. 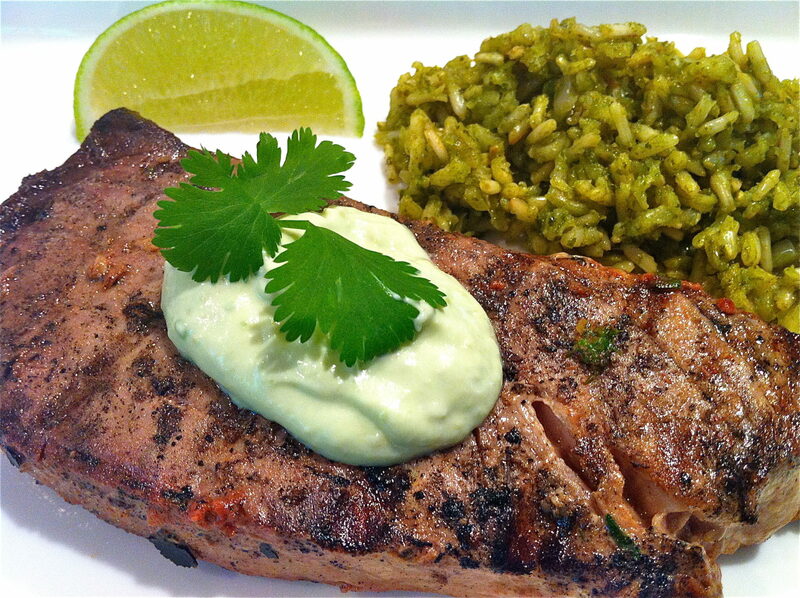 When ready to eat, remove tuna from marinade and grill over medium-high heat to your preferred level of doneness. Serve with the avocado wasabi sauce, if desired. n a medium bowl, dissolve the wasabi powder in the lime juice. Scoop the avocado out of the shell and into the bowl. Mash well. Add the remaining ingredients and stir until completely blended. Store in the refrigerator until ready to use. Will keep several days stored, covered, in the fridge. This recipe yields about one cup of sauce and may be doubled easily. This recipe was shared with Recipes for my Boys Thursday’s Treasures, week 35 and Amee’s Savory Dish’s Fit and Fabulous Fridays. This Tuna looks incredible, like 5 star restaurant! I I can almost smell the delicious aroma wafting from the plate here, is that possible? And your rice is so pretty, what did you add to it? I was blowing the good smells your way: ) The Green Rice gets its green from kale, cilantro and chives–mostly kale! Thank you very much! I am on my way to check out your wonderful site! Made this last night for a group of friends and it was a hit! Thank you for the amazing recipe! I have to admit I was skeptical about this recipe because I NEVER marinate seafood more than an hour or so. But I left this for about 8 hours and skillet seared it in butter. It was great and the avocado wasabi made it even better. Served with a cauliflower “rice” bed. Holy sht , it was amazing! Thank you! Breakfast wasn’t that long ago but your comment is making me hungry, Art! I’m delighted you tried this recipe and liked. Thanks so much for the great feedback!